Here’s the thing about the 2019 Red Sox so far: I’ve seen Motley Crue videos with a more focused cast. And it’s not that Alex Cora’s team is demonstratively different; minus closer Craig Kimbrel and Joe Kelly, it’s essentially the same team that won 120 games and World Series last season. So what’s going on? Who farted? Everything we’ve seen from this team in their terrible first 12 games—minus, arguably the bullpen—has stunk to high heaven. Starting pitching? Noxious. Fundamental baseball? Fetid. Presenting themselves as a team ready to defend a World Series Championship? Please pass the Pepto Bismal. Admittedly, I’m usually the first hit the panic button on anything, but I’m not quite panicking yet with this team. There’s still an embarrassment of riches. JD Martinez has been lacing the ball. Mookie Betts is still the reigning MVP (although Mike Trout, so far, begs to differ), and with his new contract in place, Xander Bogaerts has shown some pop, although he clearly couldn’t figure out that running on Oakland’s centerfielder Ramon Laureono, who shoots baseballs from a well-disguised cannon, was misguided. But there’s concern. 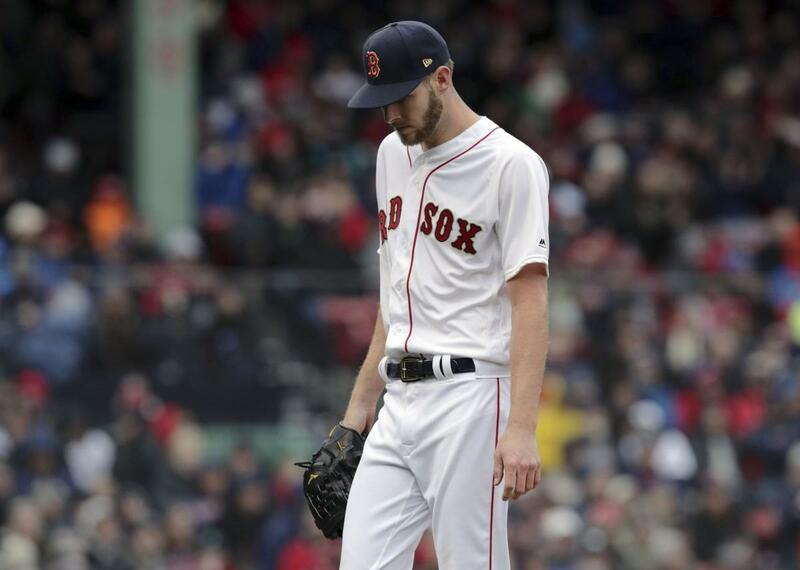 Chris Sale has been concerning. In fact, watching Toronto’s Lourdes Gurreil Jr. steal home under Sale’s nose may go down as one of the worst moments of my life. It was analogous to watching my hero get his pants pulled down in front of 36,000 observers. Yet while there’s concern, there is still plenty of time to right the ship. It is true, however, that these games in April mean as much as the games in September, and if a postseason berth comes down to a couple of games, people might question this start. My question, however, has nothing to do with the team. These players are going to be all right, regardless. Coming off the intoxication of a World Series’ championship—and the subsequent hangover—the Red Sox have the most expensive ticket prices in baseball. Additionally, Fenway Park is near the top of MLB in concession prices. And what then happens if the 2019 Red Sox play just .500 in the next twelve games, and they’re 9-18 and the season is shaping up to be a bust? What do you say to the blue-collar fan who paid $160 to watch a championship-caliber team compete? Do you then sell them on the bogus “Fenway Experience”? I understand that there are no guarantees in sports but the product being presented so far, quite frankly, isn’t as advertised. And it should go without saying that a team “unable” to compete is distinctly different from a team “unprepared” to compete. It’s a different bill of sales. Again, pass the Pepto Bismal. So it’s been a terrible start and something stinks, and I hope it stops soon. For everyone’s sake. Previous articleCan Tiger Capture Green Jacket No. 5?